We are well-located, only 2 blocks from the beach, only 100 metres or so. We are positioned away from the noise of the first street with nightclubs and bars, but close enough in order to make the most of the night life here in Taganga. 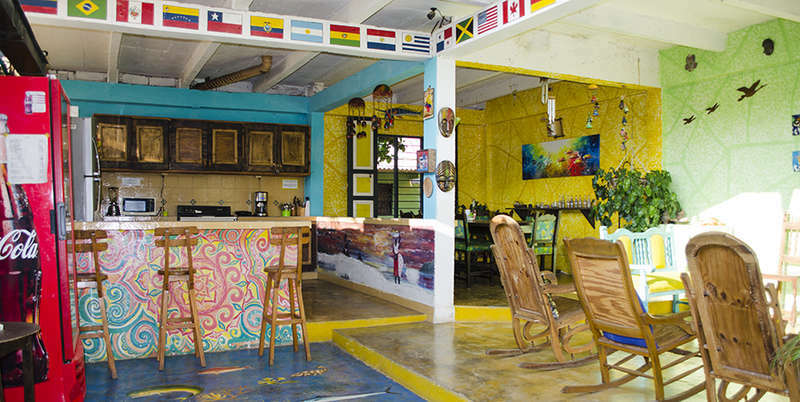 Due to the location and 24 hour reception, you are able to make the most of the night life here in Taganga. You´re able to walk back at whichever time without even having to take a taxi. Our job here in Hostel Villa Mary is to provide our guests with a welcoming and comfortable stay. During the day, you can use the patio to relax with its calming atomsphere. You can spend the day reading a book in one of our hammocks or make new friends in our common area. Furthermore, there will always be a person here that is able to give you advice and information in regards to anything in Taganga and its surroundings. 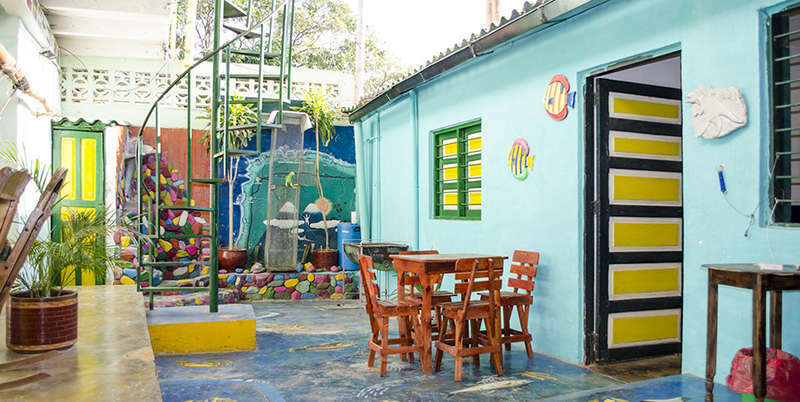 In Villa Mary, we offer advice on making reservations at other hostels, camping, excursions, trekking, tours or reserving a seat on transport to the main touristic destinations in the region, such as: Parque Tayrona, Playa Bahia Concha, Playa Cristal, Palomino, Buritaca, Cabo de le Vela o Punta Gallina, Minca o Ciudad Perdida and a lot more. Or even, which is the best restaurant, pizzeria or bar for all occasions. 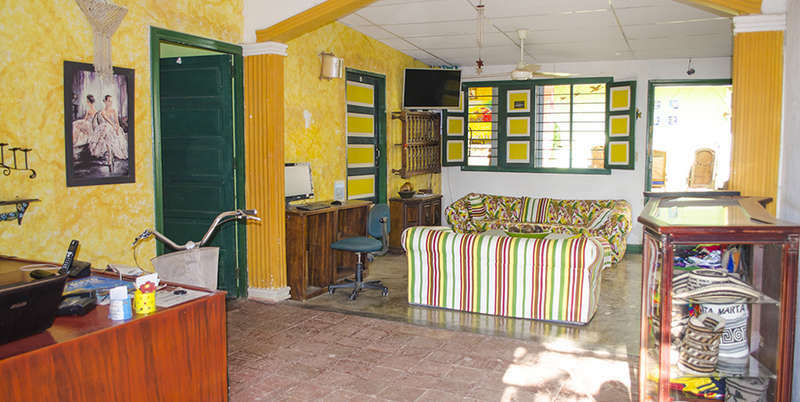 - Door to Route Bus for $50.000 por person take you in your hostel and leave you in the door of Villa Mary. - By Taxi - With $10.000 or $15.000 por taxi, depend the place to start. -By Public Bus - Take the public bus for Santa Marta Center and from there the public bus for Taganga (see before). - Private Shuttle - Only with reservation - $40.000 por car. Cancel later 3 days before the check-in have a charge of first night. It's a family place, so child friendly.